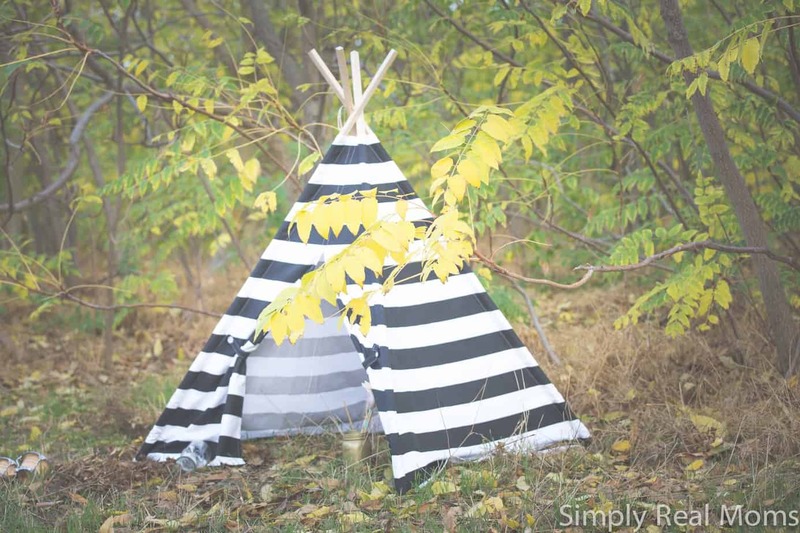 Get Girly with Wee Ones! Imagine your teenage daughter sitting down and letting you do her hair. Now imagine her letting you put fluffy pink bows and lacy headbands in it. Unlikely scenario? That’s why you have to seize the day! 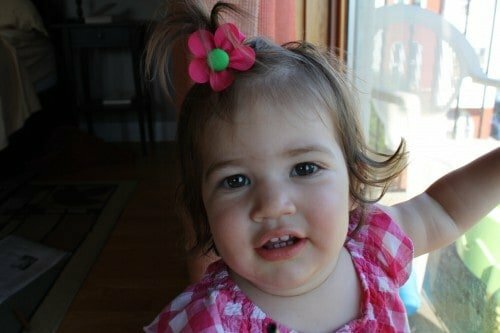 If you have a baby girl, you know what I’m talking about—hair accessories! The bows and headbands available for babies and little girls these days have come a long way from the plastic butterfly barrettes and bobble hair bands I had when I was a kid. 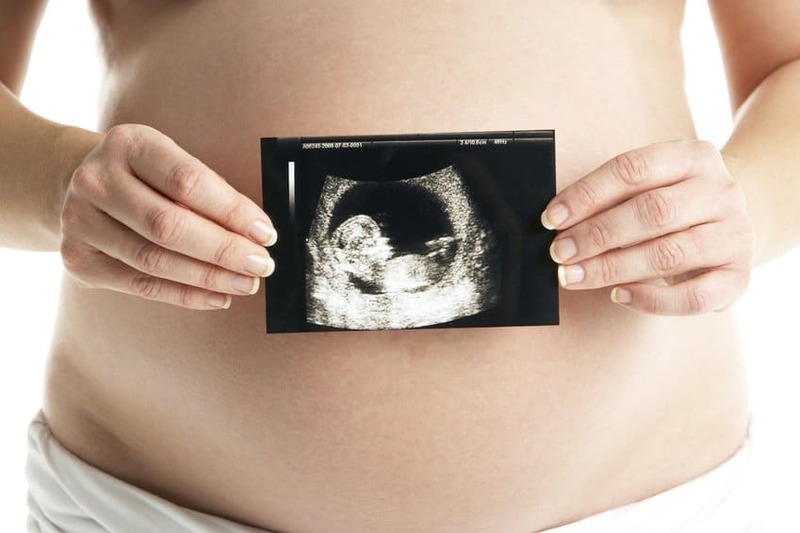 Since the day my daughter was born I have been accessorizing my little girl—after all, we don’t want anyone mistaking her for a boy! I’ve always got my eye out for new bows and barrettes, especially now that Isla has a head full of curls. Recently, I discovered a company that has one of my favorite selections of barrettes, bows and headbands that I’ve come across. 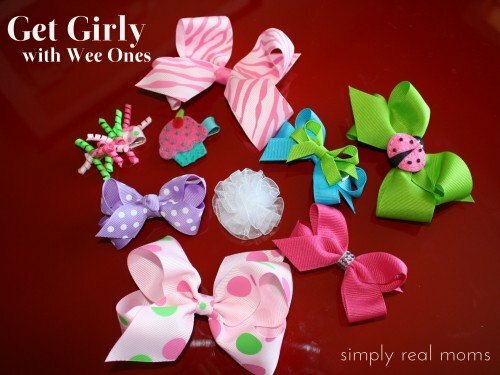 Wee Ones’ collection of hair accessories is unique and features a broad range of styles to suit any customer. 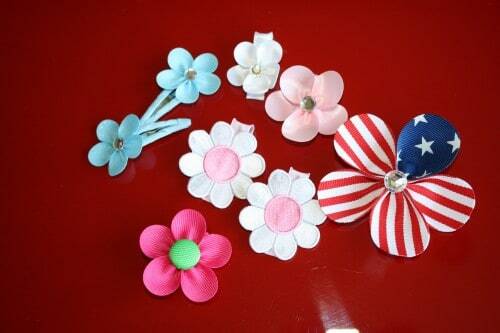 Petals: Flower-shaped barrettes made from cloth. These are my absolute favorites! Some items from the Petals collection (above), and Isla wearing my favorite Petal barrette. Hair Bows Classic Dress: Made of satin or organza, these bows are perfect for dress-up occasions. 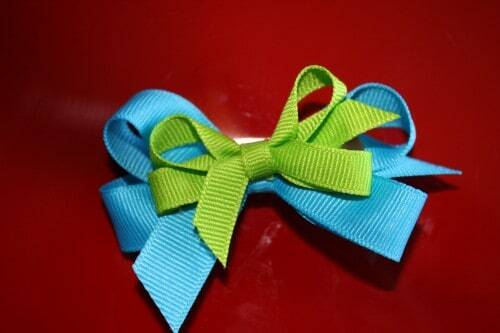 Hair Bows Classic Grosgrain: The grosgrain bows can go with any outfit and come in tons of colors and sizes. These are my go-to accessory for every-day outfits. 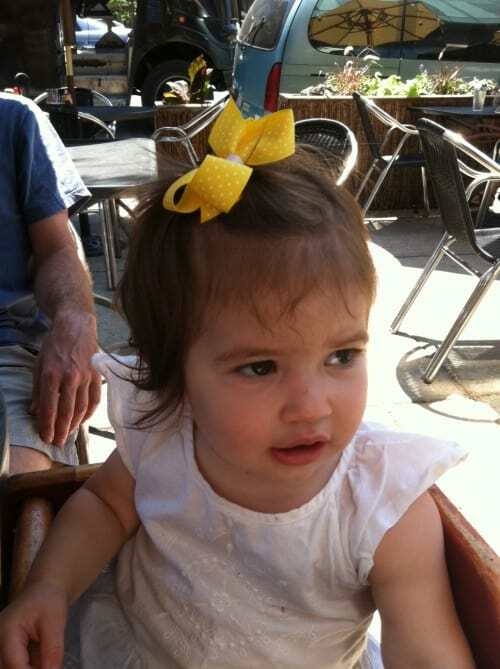 Here is a photo of Isla wearing a yellow grosgrain bow (LOVE this one!). WeeSparkle: Bows, petals and headbands made with fabric that has a slight shimmer. See them here. Hair Bows/Clips Fashion: These bows and clips feature unique patterns, or double bows (stacked) or some sort of added flair. This stacked bow below is absolutely adorable! Hair Bows Velcro: For babies with only a tiny bit of hair, these stick on! Hair Accessories Tweens: Headbands, bows and accessories for the older girls. 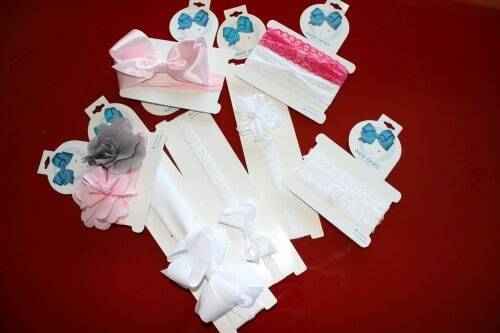 Headbands: Available for toddlers, girls, babies and infants and many different styles, including an “add-your-own-bow” style that’s versatile for any outfit. Headbands! 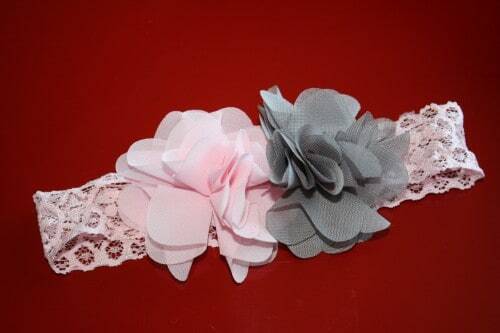 This pink and gray one with a lacy pink band is precious! Holiday: You’ll find special bows for various holidays throughout the year. 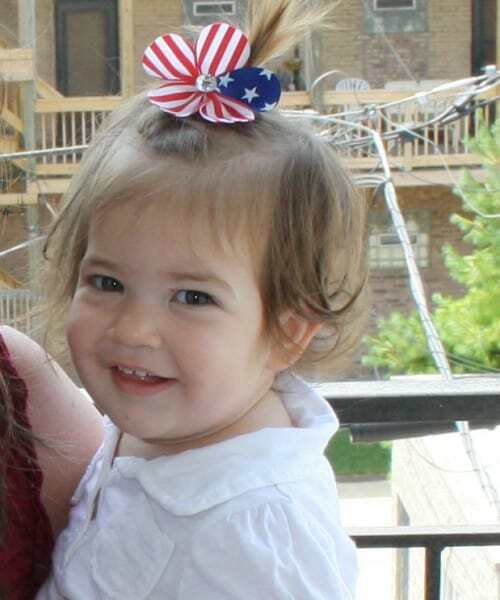 My favorite for July 4 was this Petal barrette! 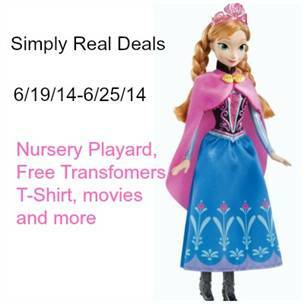 Get yourself on over to Wee Ones for an accessory shopping spree! Your little baby doll will look perfect on any occasion, whether it’s a play date or fancy party. Disclosure: Although I received products for review, all opinions are my own.